Microchip explains how hardware root of trust work using the ATECC608A secure element and AWS IoT. 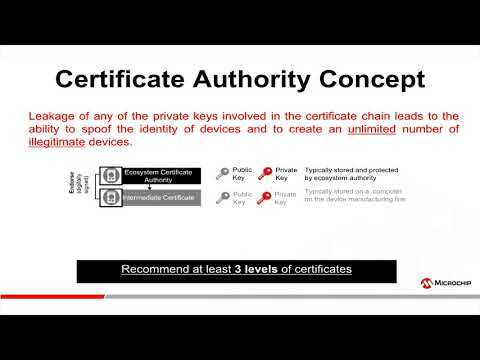 The Just In Time Registration and Use Your Own certificates functions from AWS IoT allow large scale authentication of automated system, yet secure by protecting private keys from users, software and manufacturing backdoors. This entry was posted on Thursday, February 1st, 2018 at 4:31 pm and is filed under Advertiser, Videos / Podcasts.